Nynas Endura Z is a versatile product group designed for hot mix asphalt applications where confidence of superior performance is needed throughout the products life cycle. The skilful combination of modifiers and selected bitumen feedstock ensures enhanced performance throughout the working life of the product. The balance of structural contribution, deformation resistance and flexibility are complemented by extended workability and ease of compaction. Getting the balance between high performance, workability and early opening to traffic has been a longstanding challenge within the asphalt industry. Nynas Endura Z products have been formulated to deliver the solution. 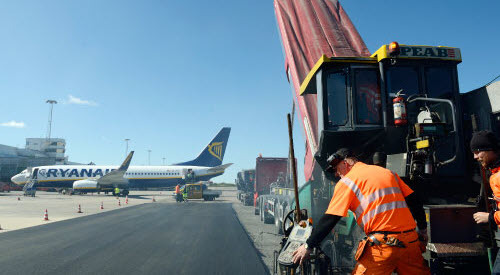 Asphalt mixtures incorporating Nynas Endura Z products have been opened to traffic hours earlier than would have been possible with standard paving grade or traditional polymer modified asphalt.